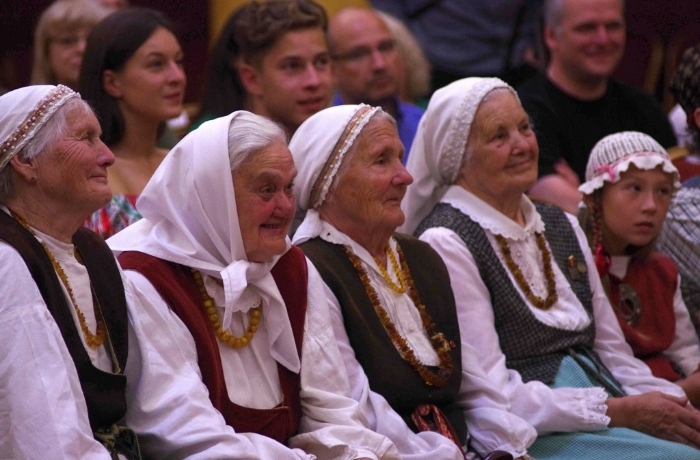 We're thrilled to announce our much-anticipated premiere in Chicago (aka "Little Lithuania!") March 19th & 21st with the European Union Film Festival at the Gene Siskel Film Center. Director Aldona Watts will be at both screenings in person for Q&A, and the March 19th screening will be followed by a reception with Lithuanian food and drink hosted by The Vilnius Committee of Chicago Sister Cities International. Tickets & details here. Over 300 people came to see Land of Songs last night! 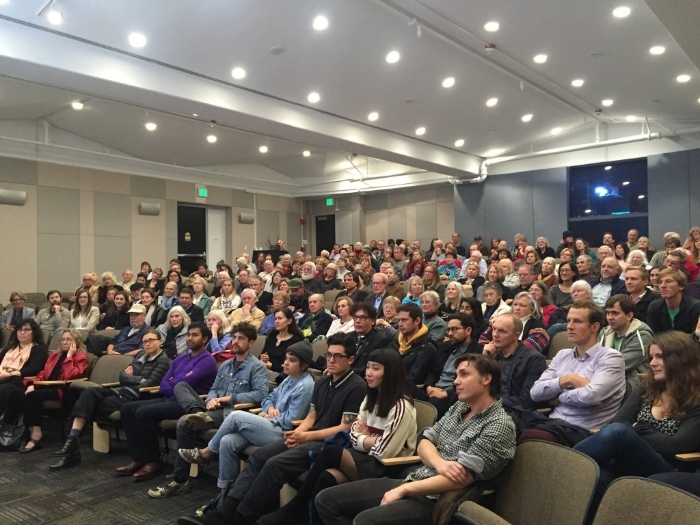 It was the most popular screening of Stanford's 2015 Baltic Film Series, and Stanford Libraries' biggest film event to date. Deepest thanks to all who came. The event opened with a reception co-sponsored by the Consulate General of Lithuania in Los Angeles and the Honorary Consul of Lithuania in San Francisco. The audience was fabulous throughout the screening, and the Q&A was one of the most lively and in-depth we've experienced. Q&A with director Aldona Watts, joined by editor Nicholas Berger and cinematographer James Kennard. A full report on the event via Stanford Libraries can be found here. News about future screenings coming soon. Until then, happy holidays and warm wishes for the new year from the Land of Songs family. Join us for the West Coast Premiere of Land of Songs on the closing night of Stanford University's Baltic Film Series! I'm thrilled to share that Land of Songs received the Margaret Mead Filmmaker Award Honorable Mention! Q&A with director Aldona Watts, cinematographer/co-producer Julian Watts, and cinematographer James Kennard after the Land of Songs premiere. Also pictured is filmmaker Tyler Zoanni, whose short The Ladies played before Land of Songs, and festival curator Rachel Chanoff. The Land of Songs family at the Margaret Mead Filmmaker Awards Ceremony. Deepest thanks to the Mead, the Museum, our Land of Songs family, and the awesome, engaged audience that packed the house on Friday! It was unreal. Aldona, Julian, and Linas on the red carpet at the Vilnius International Film Festival opening ceremony. Lithuanian Independence Day + Vilnius Screenings Discount! Our brother-sister filmmaking team Aldona and Julian showing solidarity with Lithuania from their strollers in 1990! Happy Lithuanian Independence Day! 25 years ago today, Lithuania was the first Soviet Republic to regain independence from the Soviet Union. SUN, MARCH 22 *WORLD PREMIERE! * Only 8 tickets left! Land of Songs was selected for IFP's Spotlight on Documentaries Film Forum at Independent Film Week, which was held in September at the Lincoln Center in NYC. 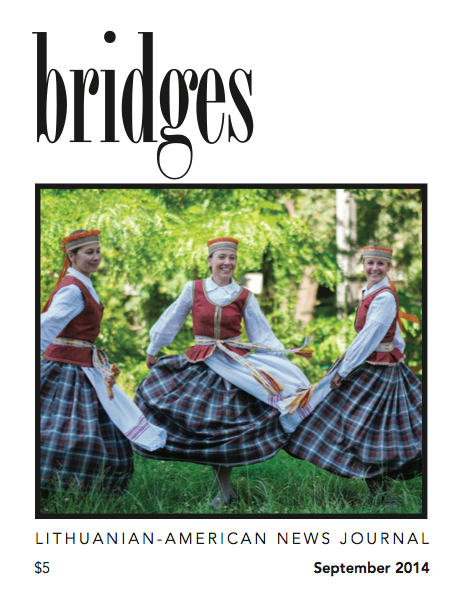 Land of Songs was featured in the September 2014 issue of the Bridges Lithuanian-American News Journal in a lovely piece by Aistė Blaudziūnaitė. Check out the (abridged) PDF here, and pick up a copy here. Nick hangs a bed sheet on the walls of an abandoned Soviet schoolhouse for our village screening. Land of Songs had to compete with the local graffiti. Village red carpet moment with Aldona, Nick, and guest of honor "Tiger" the last living partisan resistance fighter in the region, with his wife and daughter. 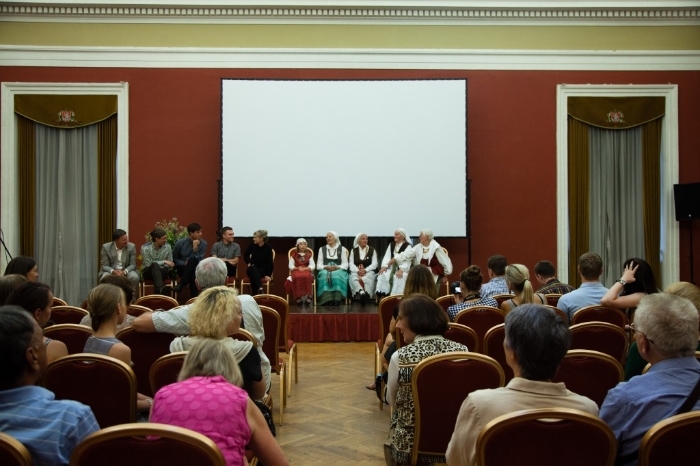 In July the Vilnius Municipality in Lithuania's capital invited us to host a private work-in-progress screening at City Hall in conjunction with the 2014 Dainų Šventė Song Festival. We're going to IFP's 2014 Project Forum! 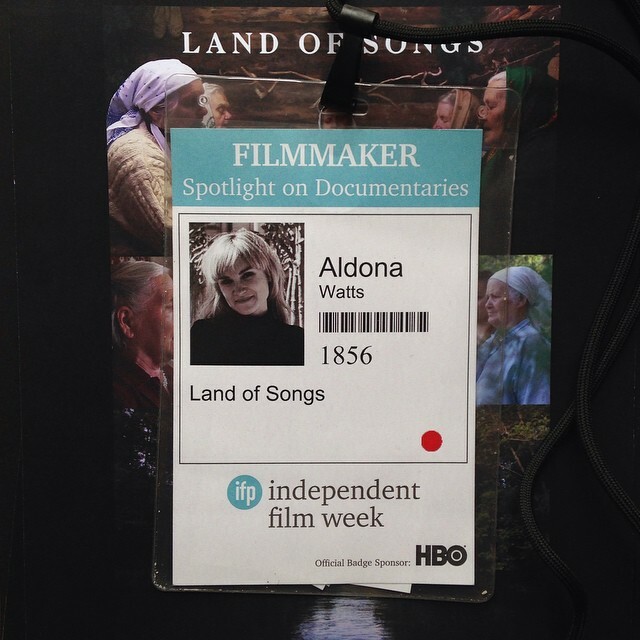 We're thrilled to announce that Land of Songs has been selected for IFP's 2014 Spotlight on Documentaries Project Forum at Independent Film Week! Check out the announcement in Indiewire, IFP's press release, and the full list of selected projects. 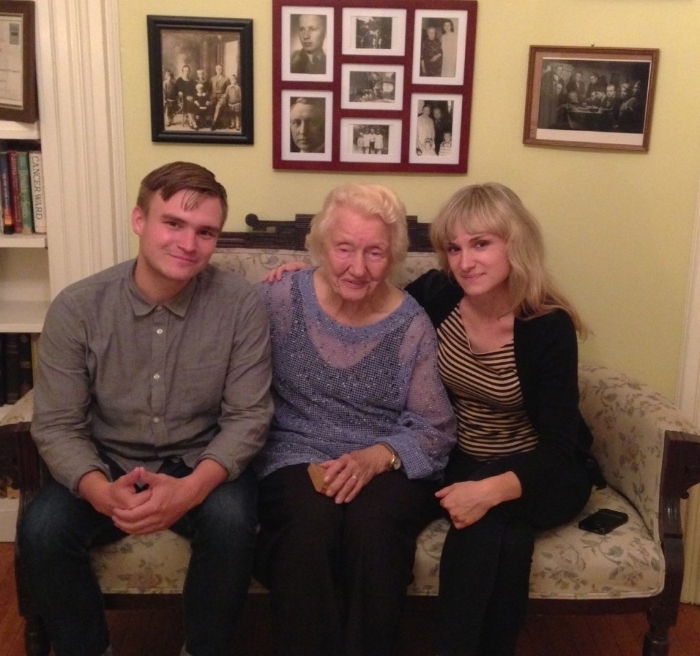 We recently visited our dear friend and supporter Nijolė Bražėnaitė-Paronetto at her home in New York. Nijole is an accomplished pathologist and scholar, and is also known for being part of a notable family: she is the widow of legendary Lithuanian partisan Juozas Lukša-Daumantas, and daughter of Konstancija Bražėnienė, who was awarded the Yad Vashem Medal of the Righteous Among the Nations for protecting Jewish children during the holocaust in Lithuania. Needless to say, Nijolė has some incredible stories to tell. Nijolė and her sister Vida in 1939. Konstancija Bražėnienė on Christmas Eve in Siberia (1950), where she spent decades in exile. After months of reviewing, translating, and organizing hundreds of hours of footage, we've teamed up with our editor Nick Berger - The Big Edit is finally underway! While in Brooklyn, I met with Lithuanian legend and "godfather" of American avant-garde cinema, Jonas Mekas. It was rad to discuss filmmaking and the Lithuanian American experience, and to receive some refreshingly no-nonsense, tough-love guidance in moving forward with Land of Songs. We participated in the A2E Direct Distribution Lab, San Francisco Film Society's first Artist to Entrepreneur program at the 56th San Francisco International Film Festival. Along with picking up a few tricks of the trade, we met some cool folks from Dogfish Accelerator, Flicklist, and Seed&Spark, among others. We saw some incredible films at the 56th San Francisco International Film Festival, but nothing comes close to the mind-blowing audio-visual experience of Lucien Castaing-Taylor and Verena Paravel's Leviathan. Watching Sergei Loznitza's In the Fog was like seeing some of the stories from LAND OF SONGS brought to life. A bleak contemplation on how war effects the villager with no ideological stakes save his own personal integrity. Other highlights include participating in San Francisco Film Society's A2E Direct Distribution lab, and running into our friend V.Vale of Re/Search Publications! 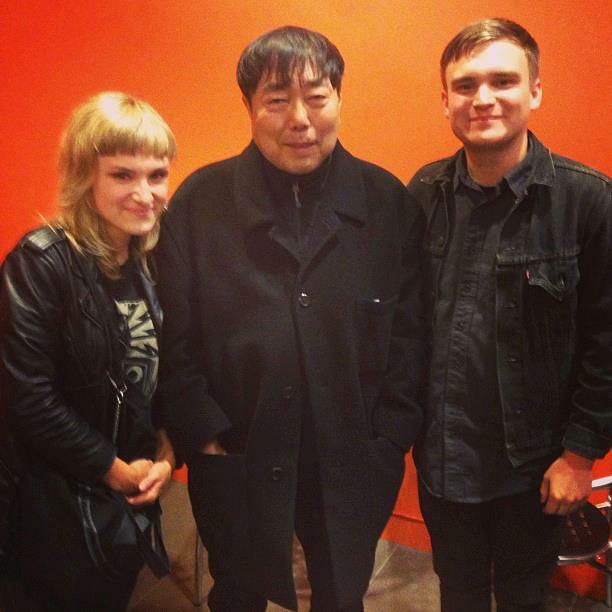 Land of Songs is now fiscally sponsored by the San Francisco Film Society. This means that we can accept tax-deductible donations and apply for grants with 501(c)3 status. Check out our project page here. I'm a co-organizer at Her Girl Friday, a Brooklyn collective that produces events for female journalists & nonfiction storytellers. 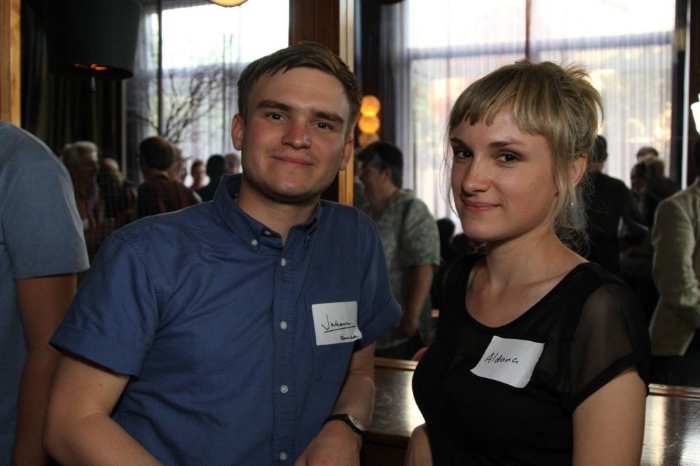 On March 7, we had our first San Francisco event at 111 Minna Street Gallery. Almost 200 people came to hang out and listen to our speakers Ann Friedman, Martina Castro, Mimi Chakarova, and Katy Newton discuss their new projects. I was honored to present Land of Songs as a work-in-progress in such good company.